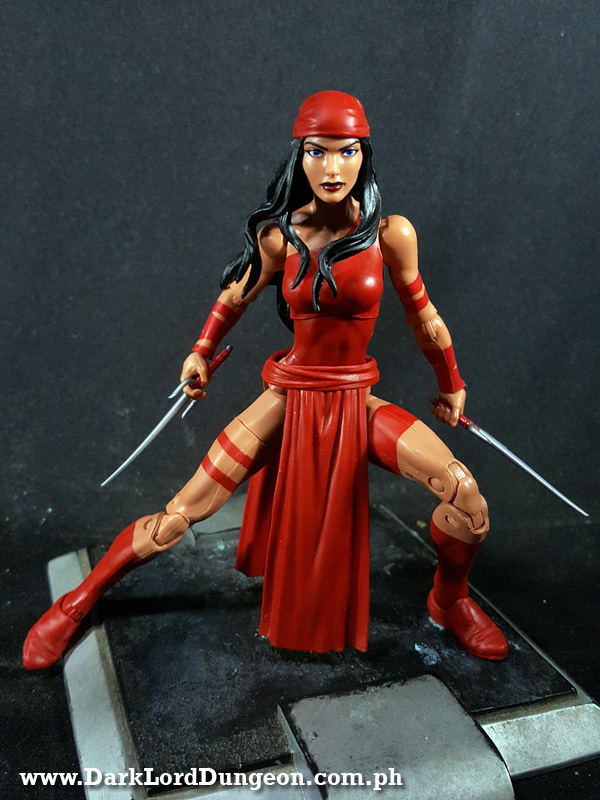 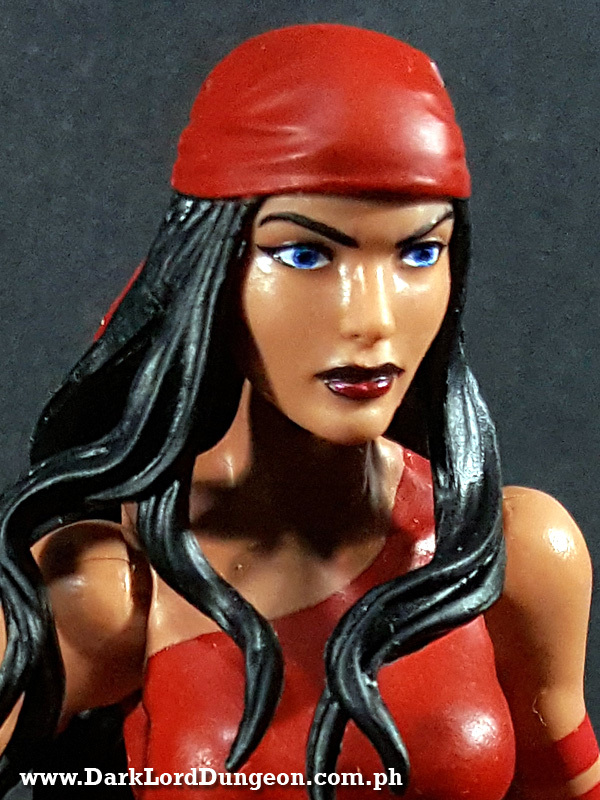 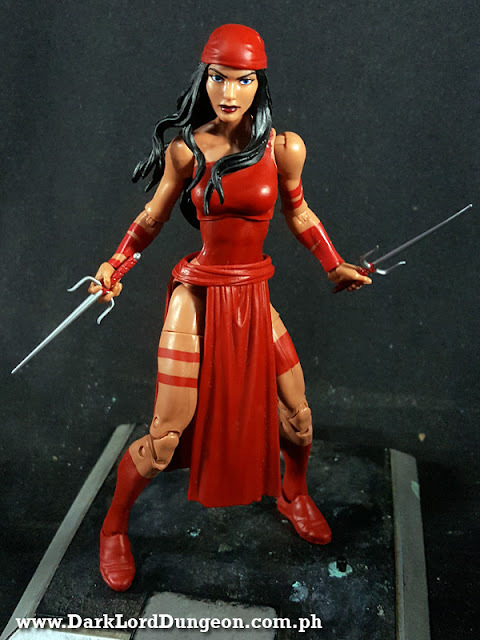 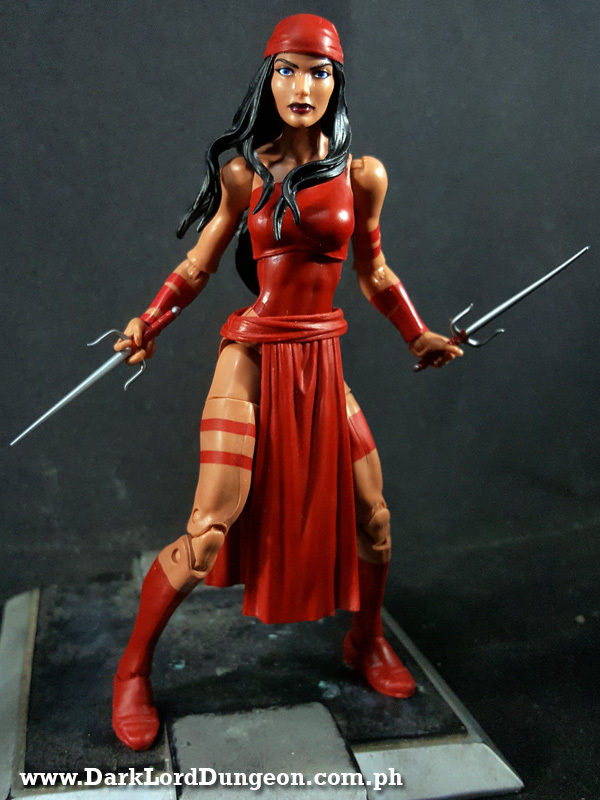 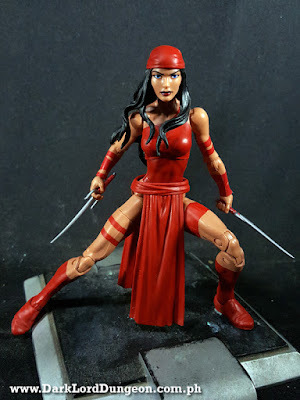 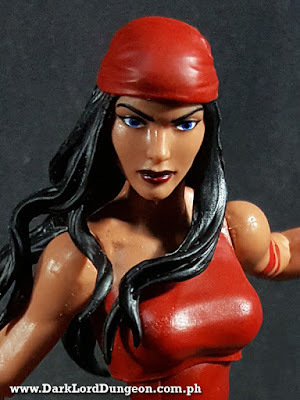 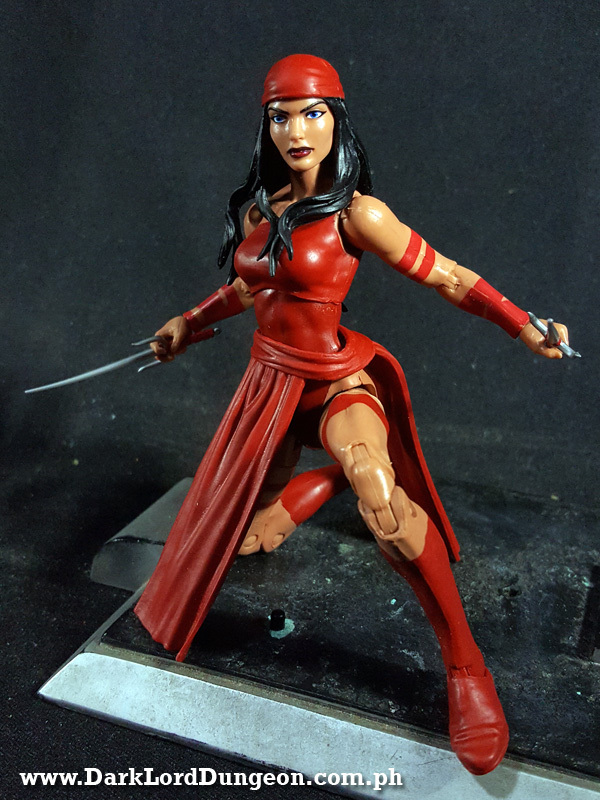 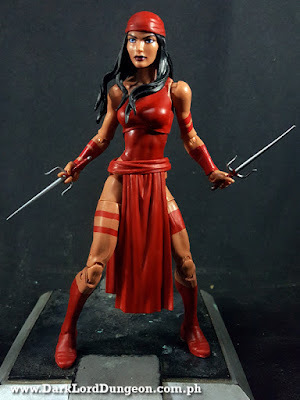 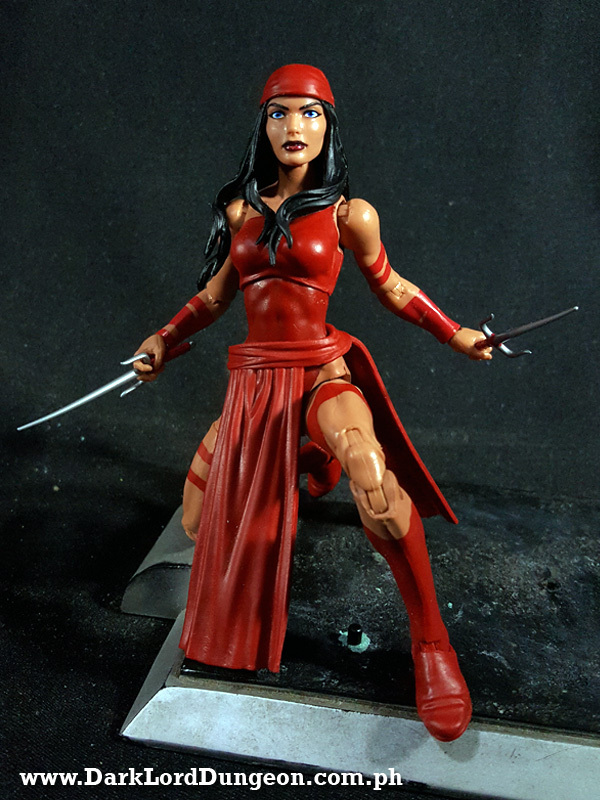 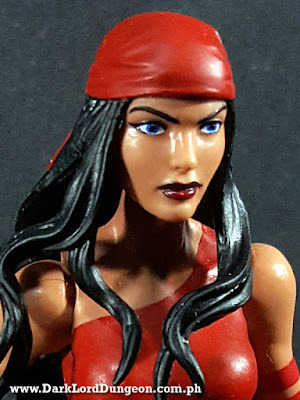 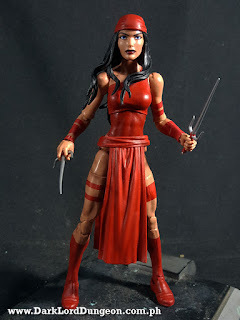 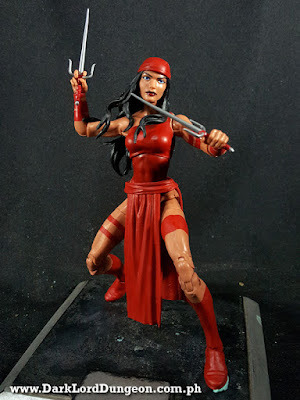 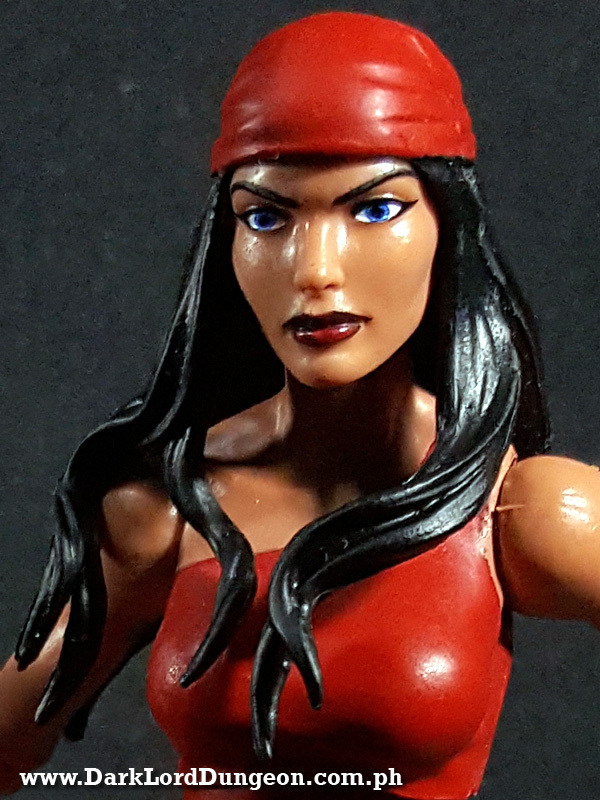 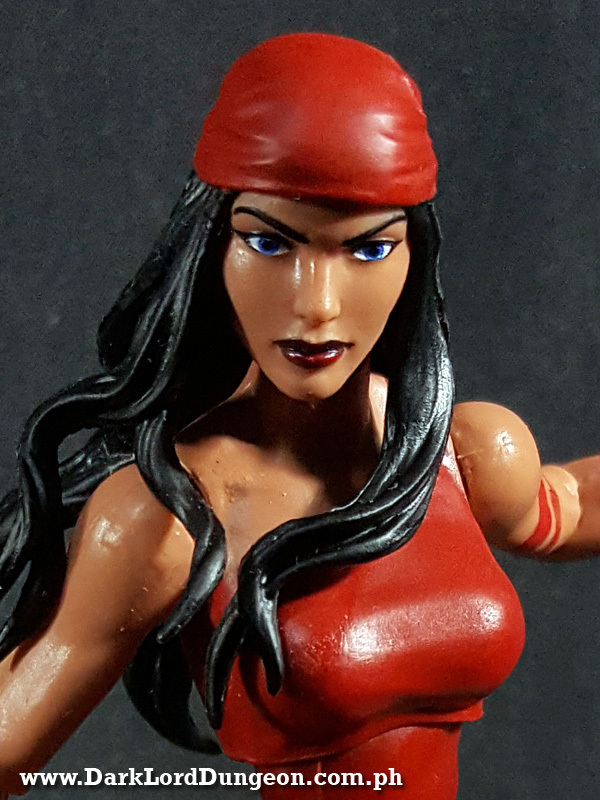 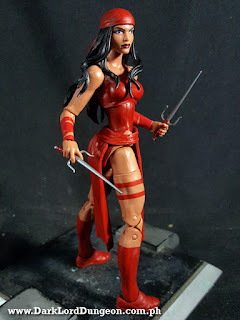 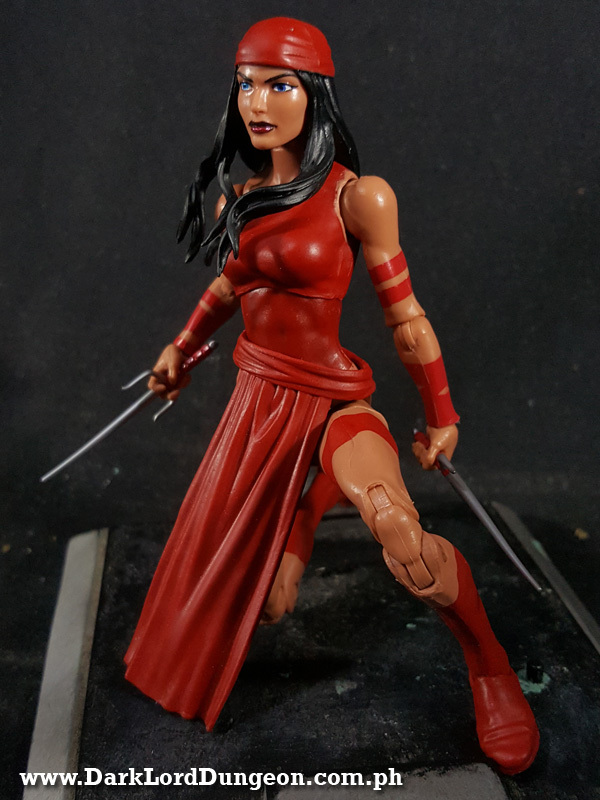 The Marvel Legends SPdr Wave Elektra Acton figure is based upon the comic book assassin and her blister pack reads "Shaken by the death of her father, Elektra uses her exceptional skills in the martial arts to become an expert assassin." She comes with everything you see here: A pair-of sais, and hands that are molded to handle sais. 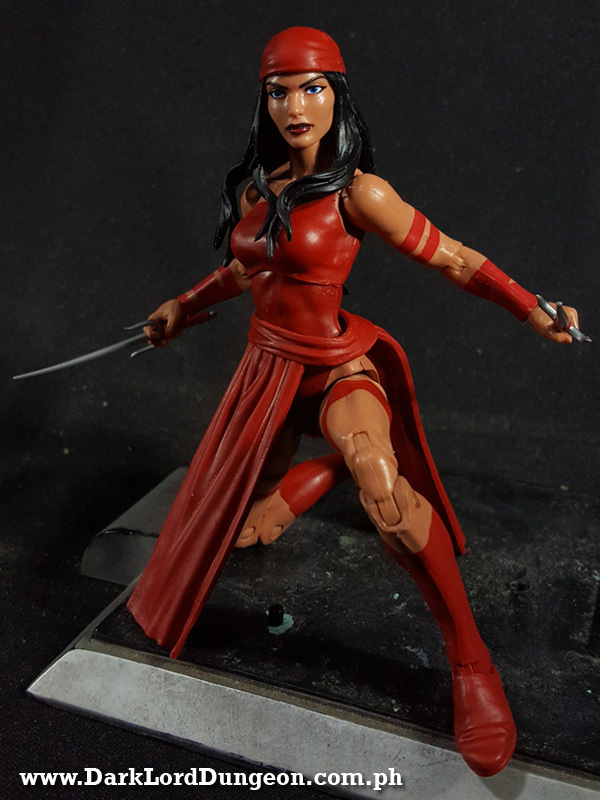 No alternative heads or hands this time around and the left leg of the SPdr armor. 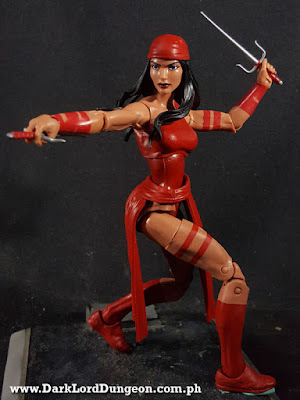 WHAT'S TO LIKE ABOUT THE MARVEL LEGENDS SPDR WAVE ELEKTA ACTION FIGURE? Elektra is quoted as having said "I am Elektra, the assassin. 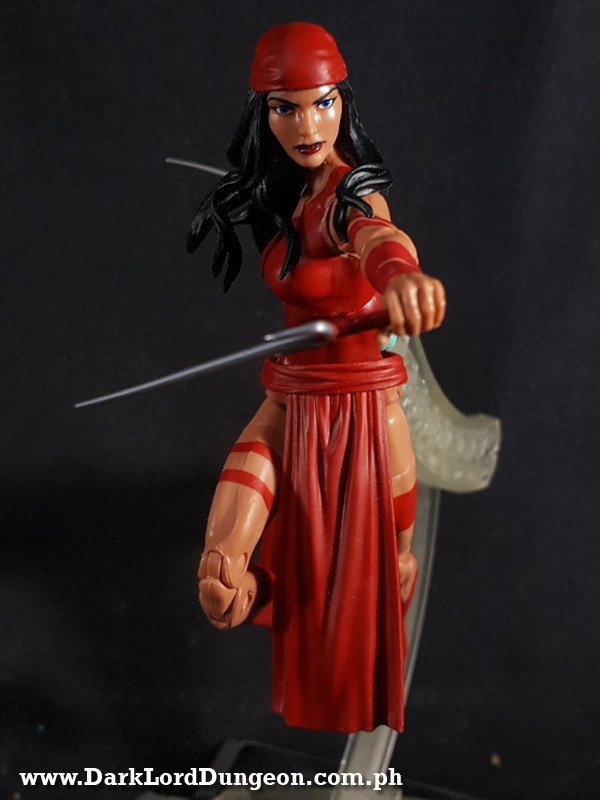 To look upon me......is to see the end of life." 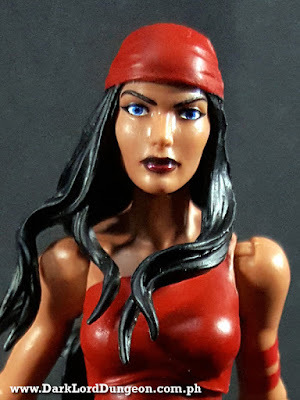 Well... if that's what you look at before you die... well there are worse fates. 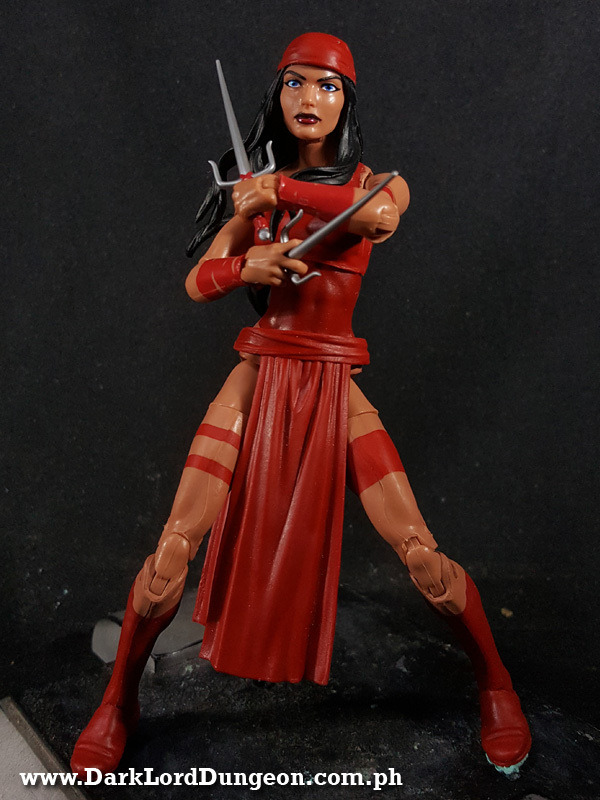 A least you die having seen a thing of beauty. SECOND: Elektra's articulation is excellent as expected, and she was a lot of fun to pose. 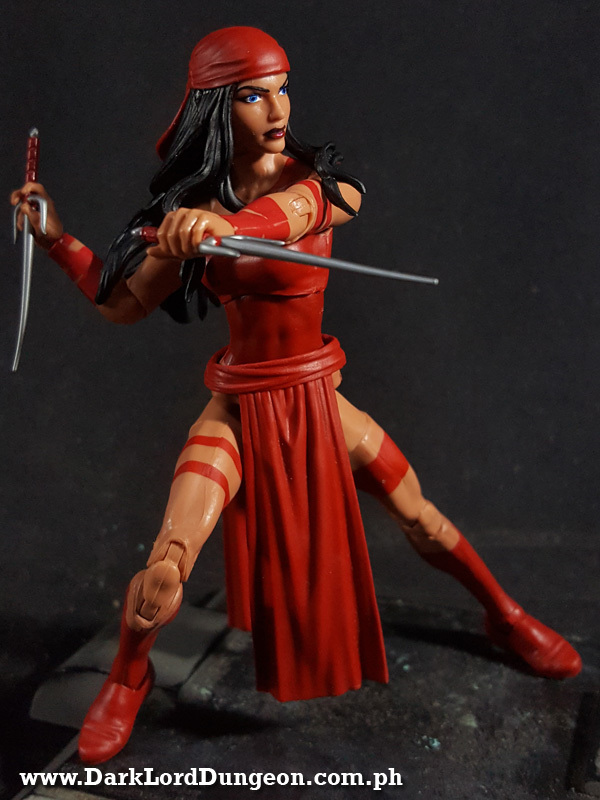 There is some awkwardness created by her loose fitting, modesty protecting sash, but it's nothing that can't be worked around. WHAT'S NOT TO LIKE ABOUT THE MARVEL LEGENDS SPDR WAVE ELEKTA ACTION FIGURE? 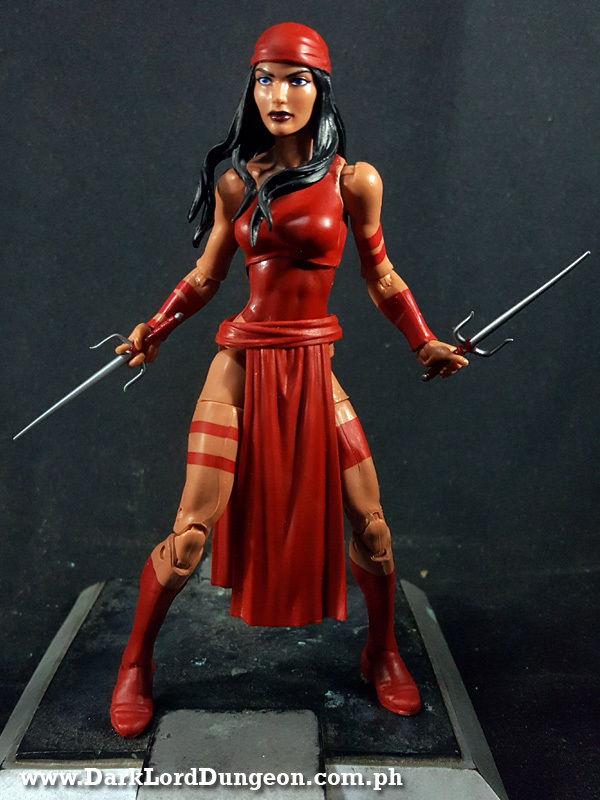 FIRST: Well unlke previous Elektras that came with more accessories than this, Marvel gave us instead the SPdr armor left leg part. 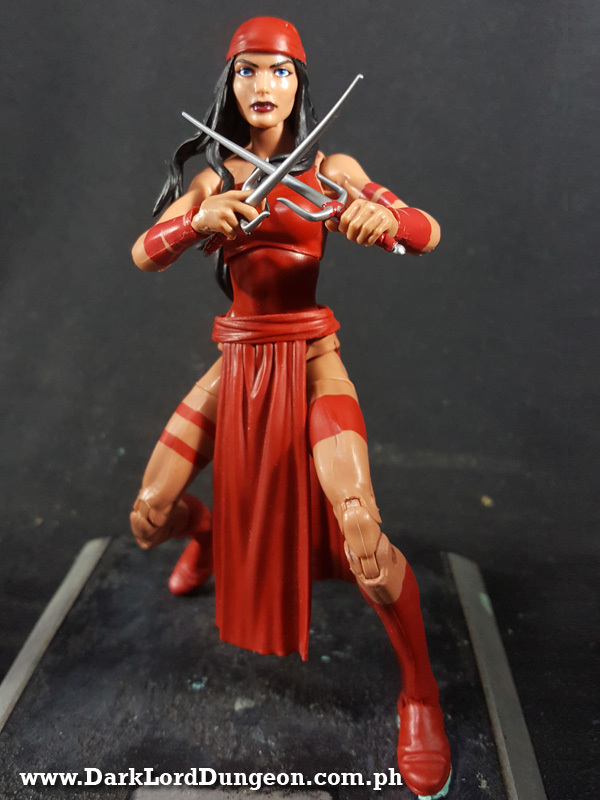 We really would have appreciated extra weapons, hands or heads. Other than that, it's one of the most beautiful Marvel Legends figures we have and we're glad to have it. 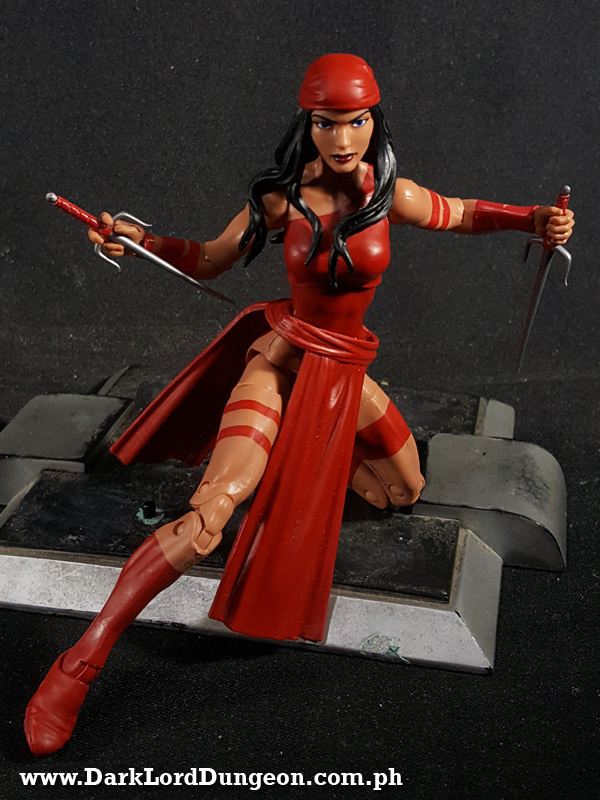 The Marvel Legends SPdr wave Elektra Action figure is available on Amazon for around US$ 19 (Roughly PhP 1,000 plus shipping). 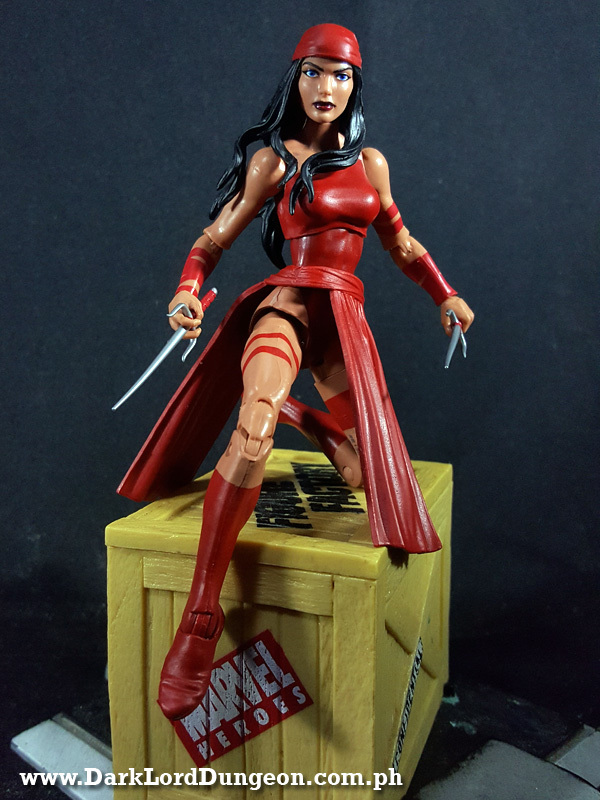 She's kinda rare here in the Philippines but not impossible to find.